The next PNA General meeting is Thursday 2009-10-29. The meeting will be held in Holy Redeemer School’s Claire Hall (enter from the back school parking lot). The fun kicks off at 7pm. See you there! 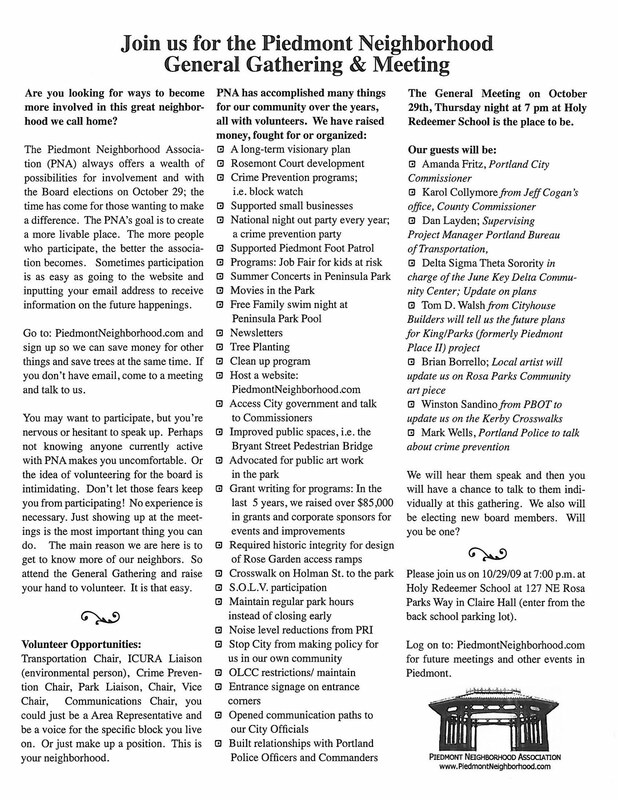 Click the image to the left to see the details that were sent out the neighborhood recently.